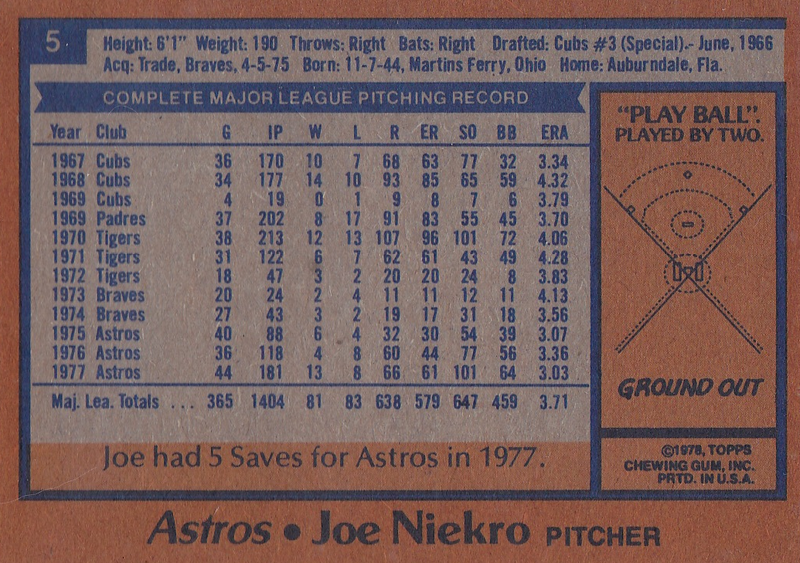 This card's baby blue sky and super-orange everything else reminds me strongly of the classic 1933 Tattoo Orbit set. Joe's door knocker nose and ear-flap hair look so charmingly anachronistic, I can almost ignore the pink script and lime green borders. We heart the 1970s! 1978 marked Joe's career mid-point, 10 years removed from a 1967 Cubbie debut and 1987-88 swan song for Minnesota. 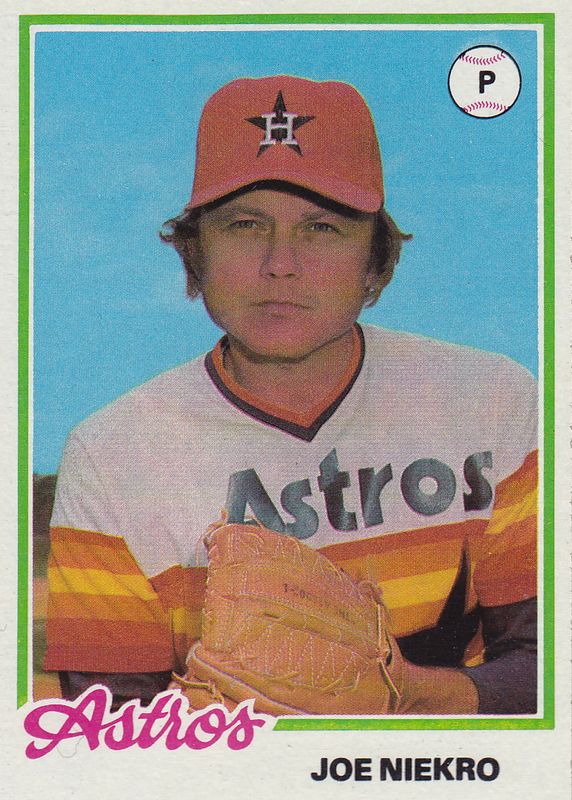 11 years as an Astro marked his longest tenure for any team; peep the classic "Houston black hat" look at his Wikipedia page. 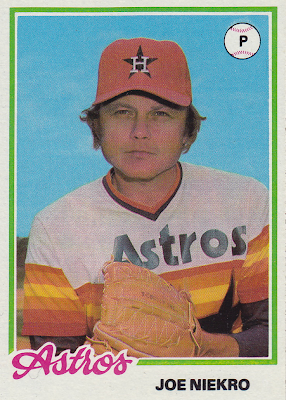 Joe and brother Phil won a sibling record 539 games, including a shared wins lead (21 each) in 1979. 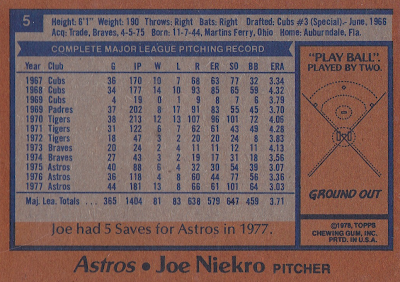 In 1980, Niekro pitched a 10-inning, 1-0 shutout in the NLCS. Houston lost that series, but he went on to win a World Series ring with the Twins in 1987, not long before Jack Morris threw his own legendary 10-inning shutout for Minnesota's 2nd title. On the flip side, Phil never won a title in 26 years of throwing knuckleballs, but did reach Cooperstown in 1997.